31 Talks from the Progressive Web App Summit 2016 — A playlist of talks and presentations from the recent Google Developers Progressive Web App summit. Beyond Progressive Web Apps Part 1 — A look at a number of different problems and solutions related to making data available offline. 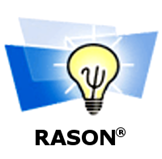 Try the RASON® API – and Start Using Advanced Analytics in Your Web/Mobile Apps — Solve powerful optimization and simulation models in your app easily with the RASON® API. Use a high-level modeling language embedded in JSON, and a simple, Azure-backed REST API service. How to Debug Performance in The Browser — Browser-based developer tools have become a vital part of the dev armory; here’s how you can use them to fix performance issues. Build A Mobile Web App with Bluemix and PHP — Vikram Vaswani presents a hands on tutorial to using IBM’s Bluemix and PHP to build a mobile webapp. An Introduction to TDD in the Ionic Framework — An introduction and demo on how to do test driven development in Ionic, covering basic theory concepts. Flipkart Triples Time-on-Site with Progressive Web App — A case-study from Google on how FlipKart combined their web presence and native app into a PWA that resulted in a 70% increase in conversions. OAuth2 & the Mobile Authentication Lifecycle — Authentication tokens are not one size fits all. Discover a token expiration strategy that fits your mobile app. Building An Angular 2 App for Production — Reduce bundle size of your app to less than 50K - Progressive Web Applications help us build native-like web apps, thanks to amazing tools such as Service Workers, IndexDB, App Shell etc. Angular 2 for Onsen UI Beta Released — It’s time to unveil the beta version of our Angular 2 components for Onsen UI. Cordova iOS 4.2.0 Announced — Cordova iOS 4.2.0 has been announced with support for node 6 as well as numerous bug fixes. Linking to PDFs in Cordova Apps — What happens when you try to use a PDF within a hybrid mobile application. Work on a Better Stack — On Hired, engineers typically get 5+ job offers in 1 week. Find that new opportunity you've been craving and get access to 3,500+ companies instantly.